 Cadillac boasts over 200 miles of continuous trails within the National Forest. 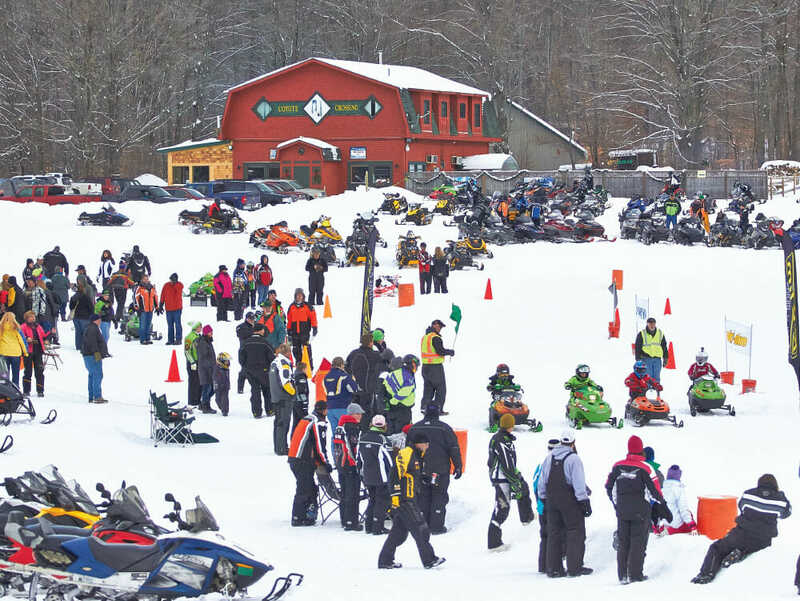 Snowmobile enthusiasts have two options from hotels along the trails, or to trailer their sleds to very well-kept trailheads along the system. Favorite trailheads include the Cadillac West trailhead on 33 Mile Road, just 10 minutes west on M-55. This location is ideal as it places you at the eastern edge of the Cadillac system with nothing but open trails towards the east. The Trailhead on Caberfae Road is also popular, which places you in the middle of the ‘in-forest’ system. Here you can venture north, south, east or west onto freshly groomed trails. After tasting some Boon Cheese and crackers (and warming up by the fire of course), head toward Mesick on Trail 37. 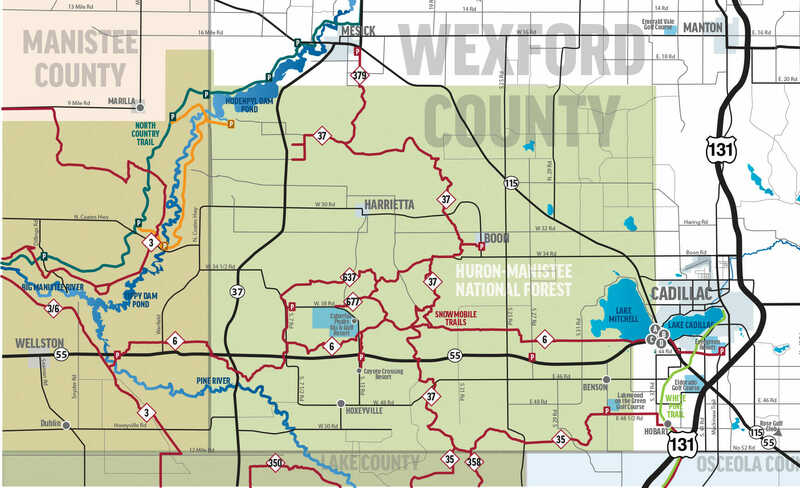 This trail meanders through the forest, while offering a more rustic style ride with hilly terrain, and flattening out on the old railroad bed along M-37. Experience the awesome views across farmland, meadows and rivers along the trail. When you arrive at Mesick, take in lunch at a downtown watering hole before heading back on Trail 37 to do the Caberfae Loop on 637/6, so you can arrive back to Coyote Crossing for dinner. The restaurant also will feature live entertainment from time to time, so be sure to check ahead, and potentially plan you trip accordingly. The Restaurant is equipped with space for helmets and gear. 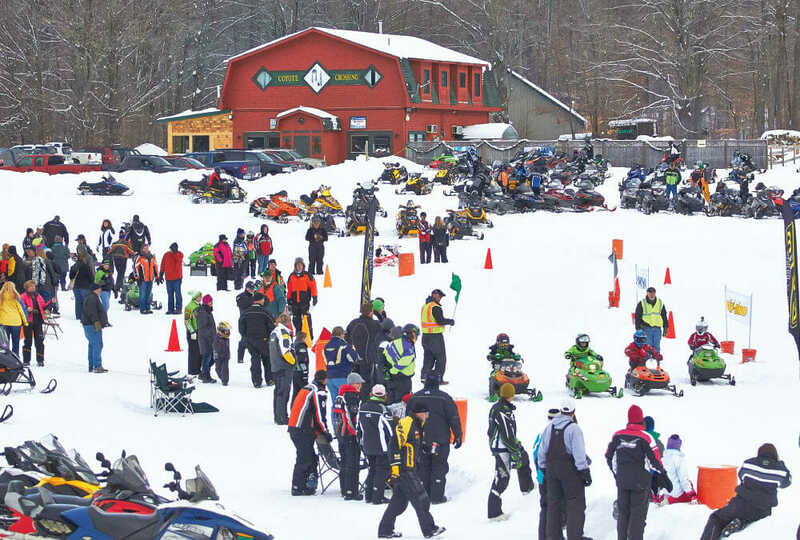 Relax and take it in, it’s great place to chat with sled heads riding the trails, and prepare for a few more hours of snowmobile stories. The region has over 150 volunteers who groom and maintain 600+ miles of trails in cooperation with the USDA National Forest and Michigan Department of Natural Resources. We would be remiss if we did not remind all that the trail permit monies fund the trail grooming equipment, so make sure you purchase your permit to keep the system in the great condition it is. Are you now convinced that Cadillac is where you need to call home during the next snowy winter weekend? If not, you need to read more about the culture from those who live and breathe sledding in the area.